Add a modern look to any bathroom with this piece from Kraus. Give your bathroom a brand new look in no time with this single-control faucet. Its deck mounted design makes it easy to set up and looks great with many sink types. 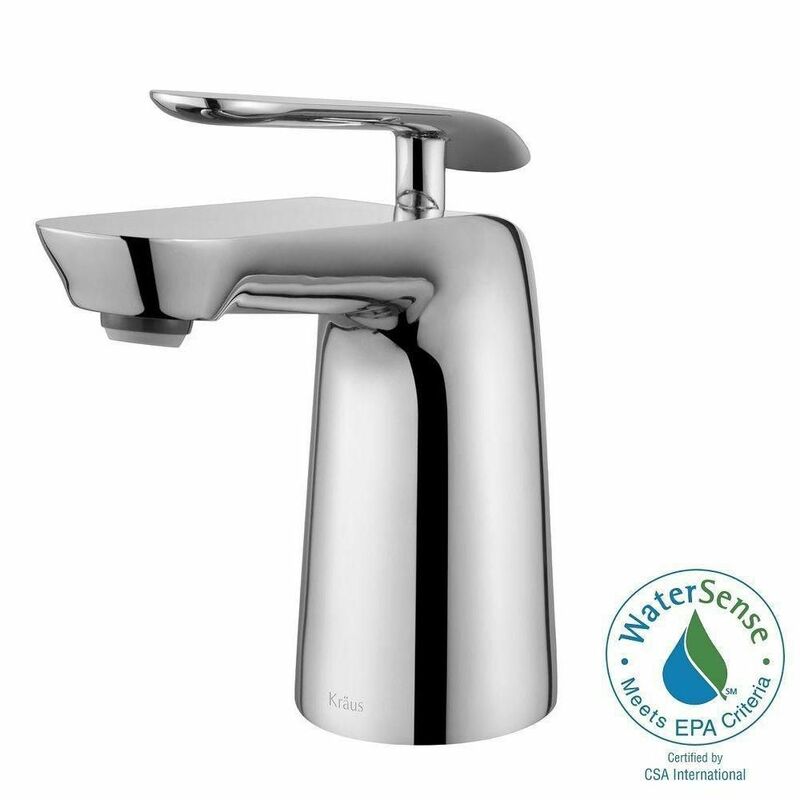 Save water and get the same clean with this WaterSense certified faucet. Seda Single Hole 1-Handle Mid Arc Bathroom Faucet in Chrome with Lever Handle Add a modern look to any bathroom with this piece from Kraus. Give your bathroom a brand new look in no time with this single-control faucet. Its deck mounted design makes it easy to set up and looks great with many sink types. Save water and get the same clean with this WaterSense certified faucet. Seda Single Hole 1-Handle Mid Arc Bathroom Faucet in Chrome with Lever Handle is rated 4.7 out of 5 by 14. Rated 4 out of 5 by homedeoptshopper from The lift for the sink plug is hard to reach,... The lift for the sink plug is hard to reach, otherwise I love it. Rated 4 out of 5 by Alisadro from Looks like a nice faucet, just installed it. Don’t have... Looks like a nice faucet, just installed it. Don’t have long term use review yet!It’s not a bulky design and complements contemporary bathrooms. Rated 5 out of 5 by headsis from well designed faucet I searched for several weeks before finding this beautiful faucet. It is a work of art and looks fabulous in my bathroom. It is easy a very functional faucet and I am bvery pleased with it.